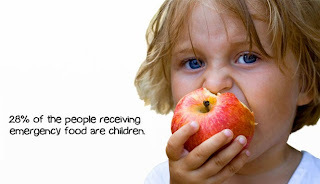 come from what is inside your refrigerator. Combining foods that are sweet, crunchy and acidic can create delicious results. Cut up fresh pineapple into 1" chunks. 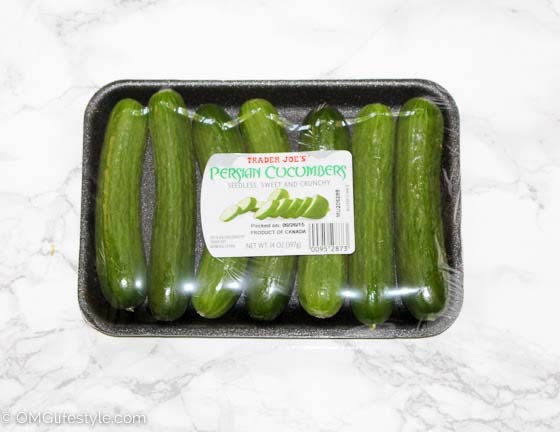 Peel and cut Persian cucumbers to the same size. This recipe requires Persian cucumbers, not just baby cucumbers or the English variety. While one variety of cucumber can usually be substituted for another, not so with this fruit/cucumber combo. The Persian cucumber's crispness and lack of developed seeds is the secret behind this heavenly salad. It is amazingly refreshing. I'll never have simple pineapple again! 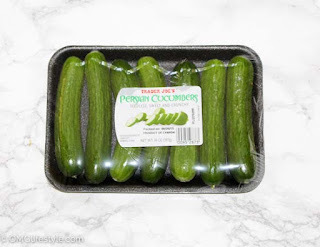 Persian cucumbers are readily available at Trader Joe's year round. They are only 16 calories per cup. 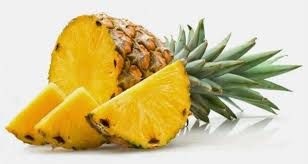 The pineapple is 82 calories per cup but packed with nutritional benefits. Pineapple contains high amounts of vitamin C and manganese.